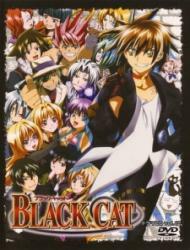 Plot Summary: Train Heartnet is the infamous gunman 'Black Cat', a cold-blooded assassin who works for the organization known as 'Chronos', bearing the mark XIII on his body. Most of his life was surrounded by violence, so Train is quiet, asocial and uncaring. However his life changes as he encounters the mysterious Sweeper (bounty hunter), Saya. Her unique way of living interested Train but tragedy occurs, resulting in Train changing the way he has lived towards the life of a Sweeper with newfound friends Sven and Eve.